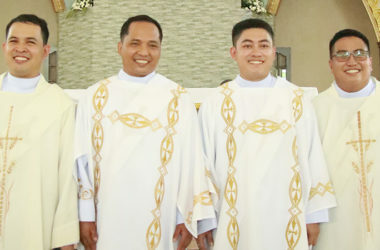 Deacons Nelson Galit, Celso Macas, Elmer Malaran and Leonardo Carlos Sanchez (PASS) On 15 October 2018, at the Holy Cross Spiritual Center (Calumpang, Philippines) the following religious were ordained deacons: Nelson Galit, Celso Macas, Elmer Malaran and Leonardo Carlos Sanchez (PASS). 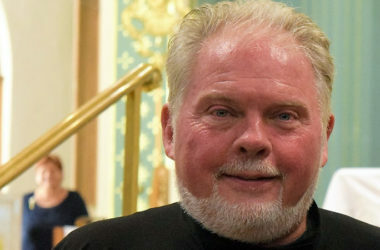 On 15 September 2018, in the Basilica of St. Ann (Scranton, USA) Fr. 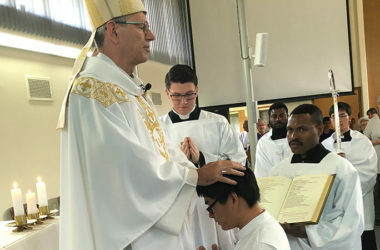 Curtis Kiddy of the PAUL Province (USA) professed First Vows. 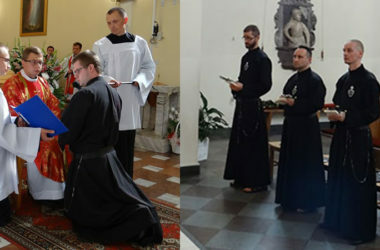 On 14 September 2018, in the monastery church of Przasnysz (Poland) Grzegorz Mossakowski professed Perpetual Vows and Tomasz Nałęcz, Przemysław Kozioł and Maciej Duda professed First Vows. 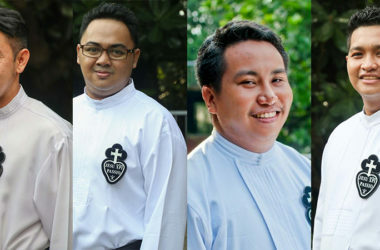 On 02 July 2018, at the St. Paul of the Cross Pastoral Center (Lagao, General Santos City, the Philippines) Renhard de Asis, John Dave Eturma and Jundy Apacible of the PASS Province professed First Vows. Additionally, Leonardo Carlos Sanchez professed Final Vows. 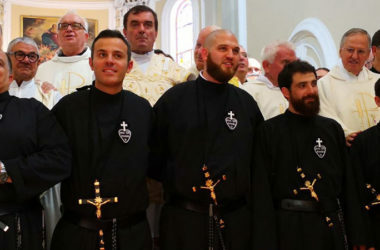 On 08 September 2018, in the Cathedral of Orbetello (Monte Argentario), the following religious of the MAPRAES Province (Italy, Portugal and France) professed First Vows — Nicola D’Ettorre, Giuseppe Maisto, Salvatore Bonadona, Giovanni Torcoli and Luis Miguel Pinto Martins. 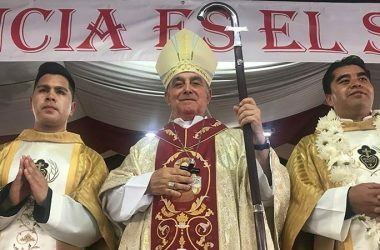 On 02 September 2018, in the Holy Cross Retreat (Templestowe, Victoria, Australia) Ping Jun Lin John of the Chinese mission of the MACOR Province (Korea) was ordained a deacon by Bishop Mark Edwards, OMI. 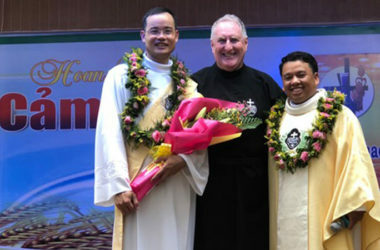 On 23 August, in the parish church of Duc Long (Vietnam) Nguyen Tan Kiet was ordained a priest and Nguyễn Xuân Vuong was ordained a deacon by the imposition of hands of the Bishop of the diocese of Xuan Loc, Bishop Joseph Dinh Duc Dao . 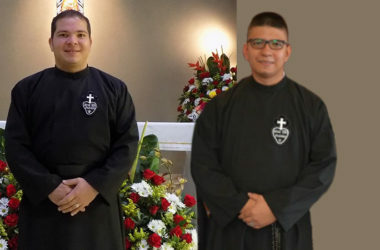 On 04 August 2018, in the parish church of San Agustín del Retablo (Querétaro, Mexico) César Antonio Navarrete Ferrusquia and Pedro Méndez Mendoza were ordained deacons. 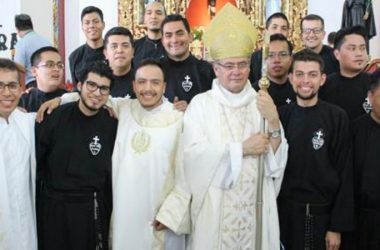 On 28 July 2018, in the community of Santa Barbara (Santa Bárbara, Honduras) José Ramón Mejía Bobadilla (SCOR) was ordained a deacon.